We’re still getting settled into our new apartment here in Charlottesville. I left most of my artwork in Austin so I’ve had to find ways to decorate our very bare walls. I came up with a few different designs to match the color of the opposing wall which is a very bright yellow. 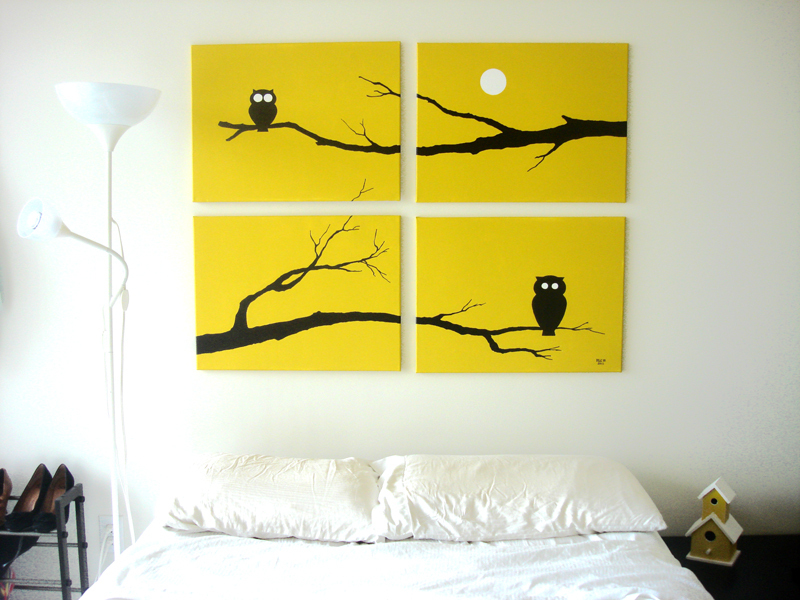 This is the design that I went with – owls! I’ve been dabbling with simple design work as a kind of hobby in contrast to my highly detailed paintings. I’ve always loved silhouettes, and I love the chance to be very bold without risking too much. 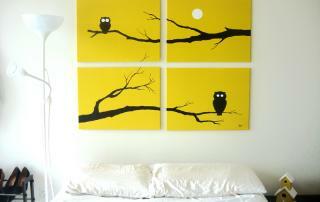 These paintings are dedicated to my sister-in-law who loves owls. I had so much fun working on this that I’m experimenting with some other similar designs.